Tales from a Fractured Folly: 8th March 2017. 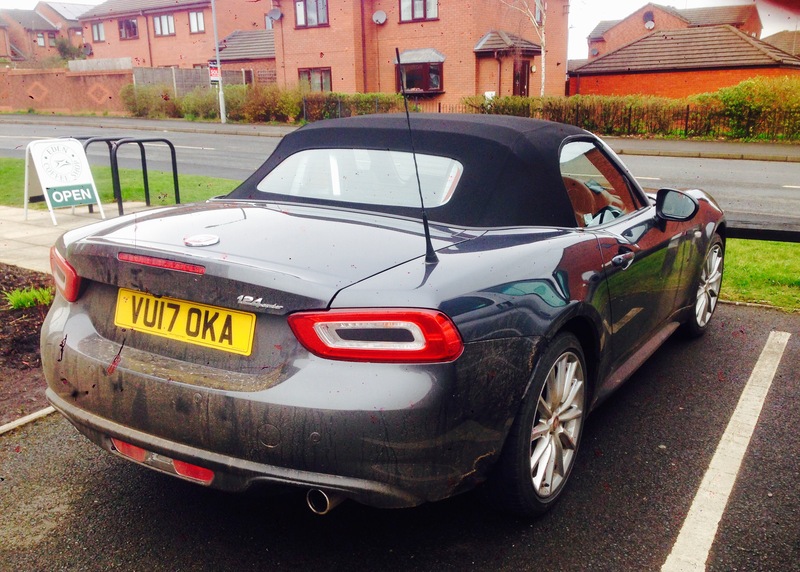 This is a Fiat 124 Spider which I haven’t seen before in the wild and this one is only 8 days old. 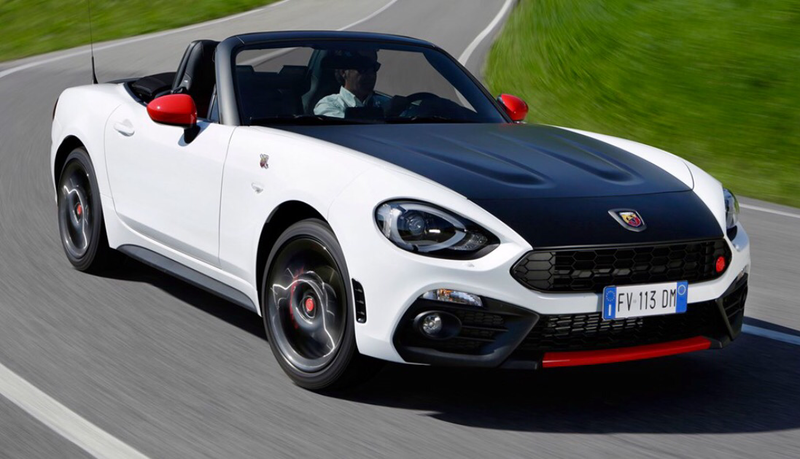 Odd coincidence as I was thinking about a Fiat 124 Spider Abarth this morning and being more than a little tempted as it is clearly painted to harmonise with rest of the fleet. The frogs were in full croak in the rain this morning. There must be 25 or 30 of them now and as I watched them I realised the girls just sit about in the pond and the boys move round. Occasionally there is a bit of a chase but it always ends the same. It was also the day that the ladybirdsin my sash windows made a break for freedom after their winter hibernation. Quite a lot of them end up inside instead of outside so if you don’t put them out they die. I managed to save about a dozen of them. There will probably be more tomorrow.